These two Chinese zodiac signs of monkey and ox are very different from each other. Will they both make a good couple or will they split them apart? 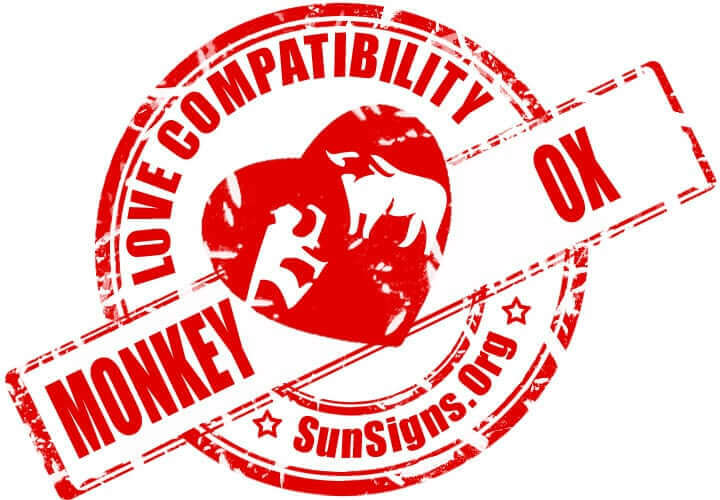 Read on to know more about the monkey and ox compatibility. The ox is a good sign for balance and organization. This works in this relationship because they will avoid arguments whenever they can. The monkey is fun-loving and has a lot of energy, which means they might be able to bring some excitement to the ox’s social life. The monkey knows how to have fun and they could very well show their lover just how to do that. They have a hard time sitting still, preferring instead to get out of the house and have a very active social life. They can do a good job of pulling their lover out of their shell. They are interested in seeking out things that make them happy first.If the male or female monkey becomes overly excited though, the ox’s calm nature might turn more toward their traditional nature. A romance between the monkey ox soulmates means they have to give each other some room to be true to their own natures. The male or female ox, however, is very domestic. They like quiet time at home as opposed to having to deal with crowds in a big social setting. They will have issues tolerating the monkey man or woman getting into trouble because of their party nature. They have a sense of honor and will hold those around them to really high expectations. There is a good possibility the monkey will have difficult living up to the expectations the ox has of them. They have a lot of curiosity and are very outgoing and this makes them more likely to cheat on their partner. The ox man or woman is reliable and stable and they will not understand how their is capable of that kind of behavior. These two Chinese horoscope signs have their work cut out for them or else a breakup is on the cards. The monkey and ox love compatibility will seem too contrasting to have a successful relationship. The differences in their personalities, can be seen when the monkey and ox start dating. This continues even in bed, where a lot of compromise is needed for sexual satisfaction. These two Chinese zodiac signs can use their differences to bring themselves closer together. They both adore achievement and money, but these two will go about achieving these things in very different ways. The ox finds the their partner’s smarts appealing. The monkey feels more stable thanks to their lover. In a monkey-ox marriage, these two can actually be a little egotistical and energetic to coexist in the same house comfortably. Monkeys are outgoing, and they are incredibly easy to find in a crowd. They are controlling, and because of this they might think of the oxen as being boring and tedious. The ox, on the other hand, is more withdrawn and much less noticeable in the crowd. Monkey & Ox Chinese Horoscope Compatibility Rated 3 Hearts!